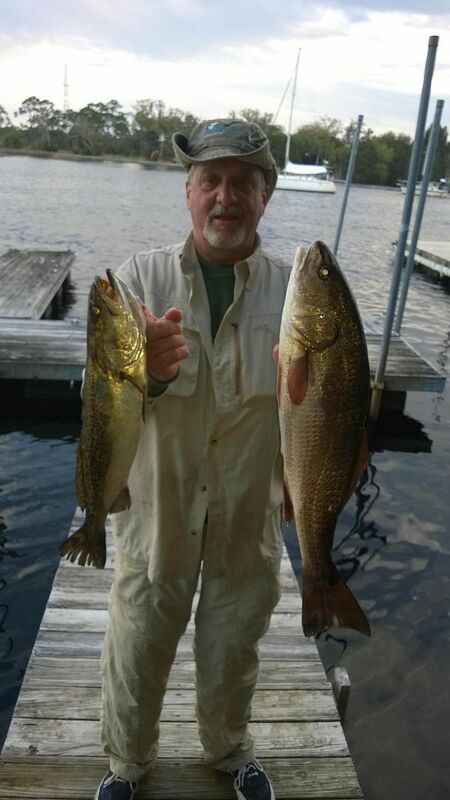 Every year since he retired, our good friend Jerry heads down to the Florida Gulf Coast to go fishing. Jerry is like Captain Ahab, sitting in his boat, trolling in relentless pursuit of its plentiful bounty. This year, we were lucky enough to score some care packages of sea trout and red drum. At the same time, the asparagus in our garden was ready for its first trimming of the year. I honestly thought it was still frozen after this past winter. This is the latest our asparagus has ever peaked its head above ground. But, Hope happily trimmed our delicious green stalks to have with our ocean treat. 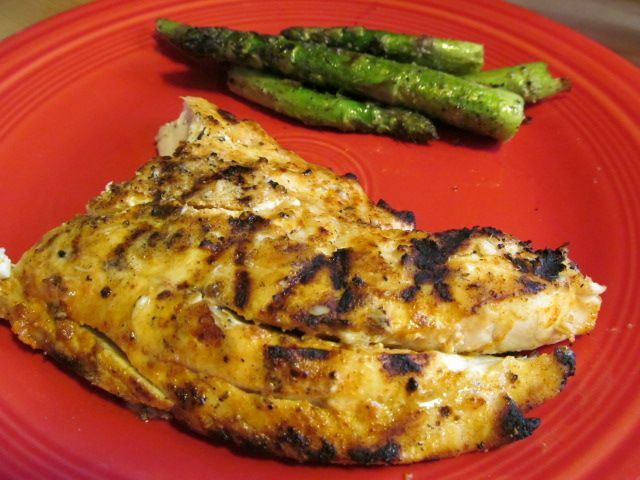 Off to the grill we go. I am a minimalist when it comes to grilling fish. A light rub, or perhaps some blackening spice, and some olive oil as usually all that a fresh fillet will see around here. We chose the red drum for dinner on this evening. 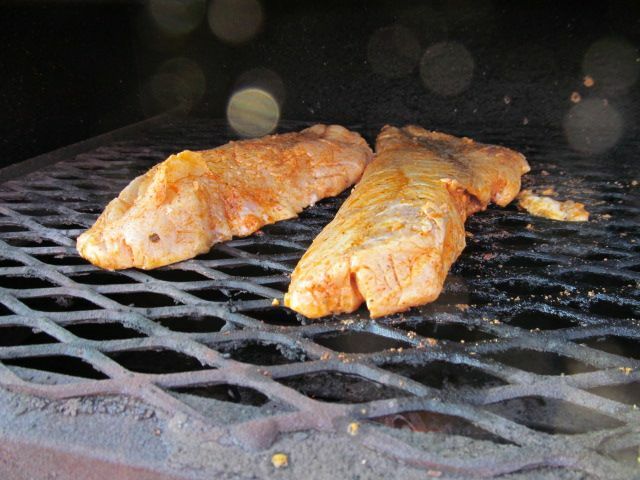 Red drum is a nice, firm white fish with a mild flavor. It will hold up to the grill nicely. I used to use Stubbs Chili Lime Rub, but our store no longer carries this product. So, on short notice, I settled for Mrs. Dash Salt Free Chili Lime Rub. Anyway, I put 2 Tbsp of the rub in a bowl with some salt and pepper, then added enough olive oil to make the rub mobile, and the juice of one lime. 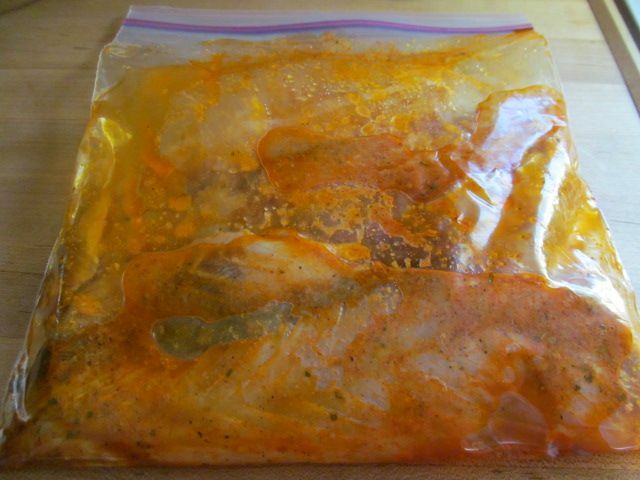 Into a plastic bag and about one hour of marinade time. For the asparagus, we whisked some granulated garlic, salt, and pepper with some olive oil and let everything mingle in a plastic bag. Then, I lit my charcoal and prepared a nice, hot fire. 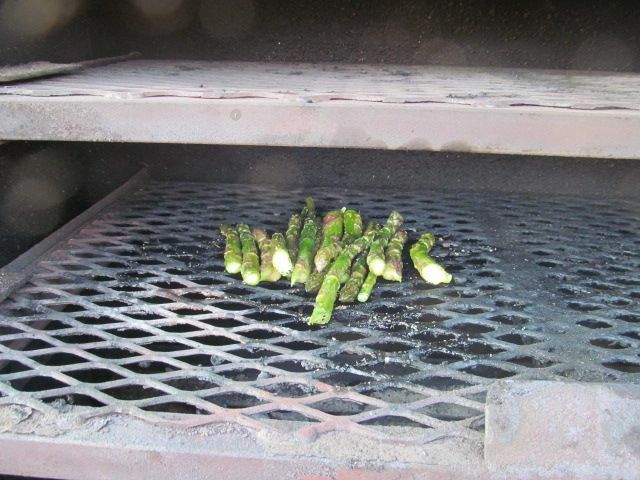 The asparagus went on first. I placed the spears on direct heat, moved them around a bit, then moved after five minutes off to the side. Then, the drum fillets were placed on direct heat. I flipped after about four minutes and let cook for about four more minutes, eight minutes of total cooking time. The fish was starting to flake, a sure sign of doneness, when I removed the fillets from the fire. 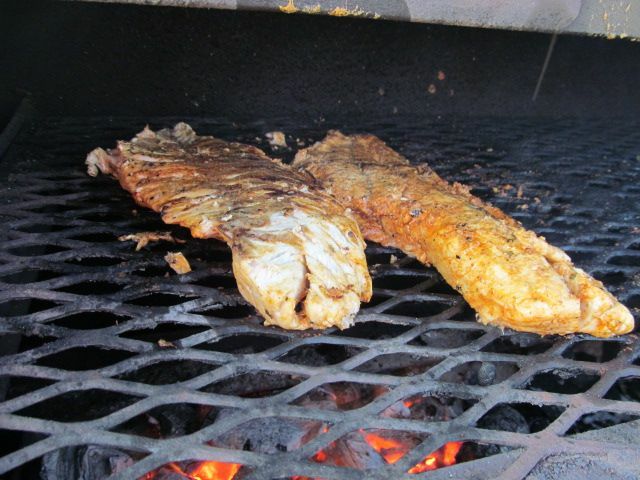 This grilled red drum was some of the best fish I have ever had. Firm, meaty, with a nice blacked exterior and a juicy interior. The chili lime flavor was nice, but I hope to find a better rub. If anyone has a recipe for a good chili lime rub it would be appreciated! The first asparagus of the year never disappoints. Slightly caramelized on the outside, tender crisp on the inside and sugary sweet. This is the gift that will keep on giving for a month. I am jealous that you have asparagus in your yard. Our season is in it last weeks. Jerry is a good friend.